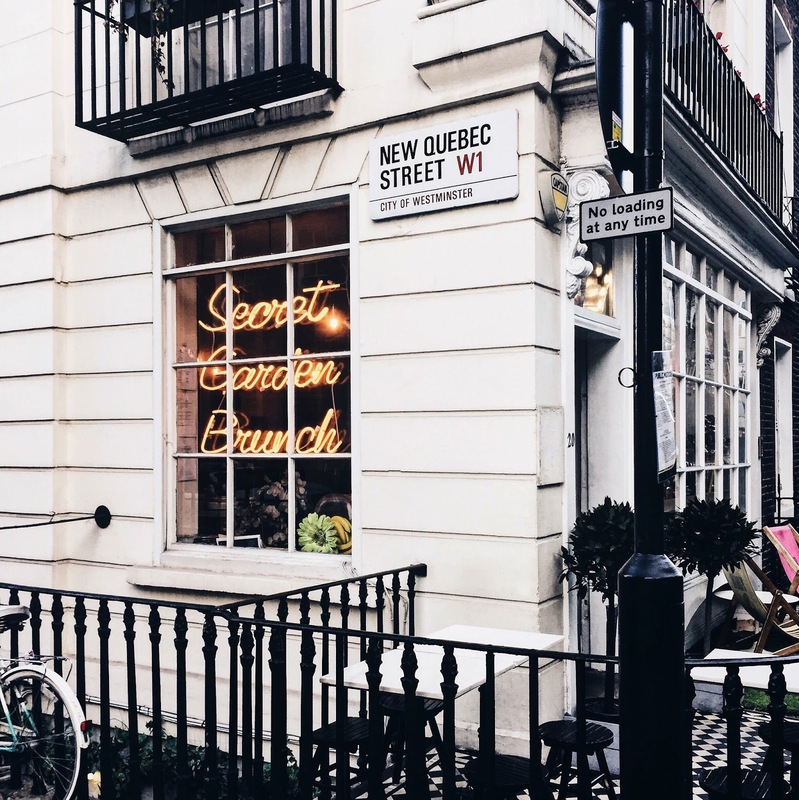 London is packed with brunch places. I have a list in my phone that keeps getting longer because I discover so many cafés that I want to visit through social media. One of those cafés is Daisy Green. The funny thing is, is that my sister and I stayed at a hotel near it and walked past the café a million times. I always thought it looked cute and I thought it was hilarious that the café was actually on the list. I'm quite oblivious really, so I definitely need to pay more attention next time. Daisy Green is part of the Daisy Green Collection, a bunch of cafés around London, like Beanie Green, Timmy Green and Darcie & May. Most of them have the same kind of menu, but each restaurant has a few specials too. Daisy Green is located near Marble Arch station, just behind Oxford Street. I have eaten there twice now and it's the perfect start to a shopping day. 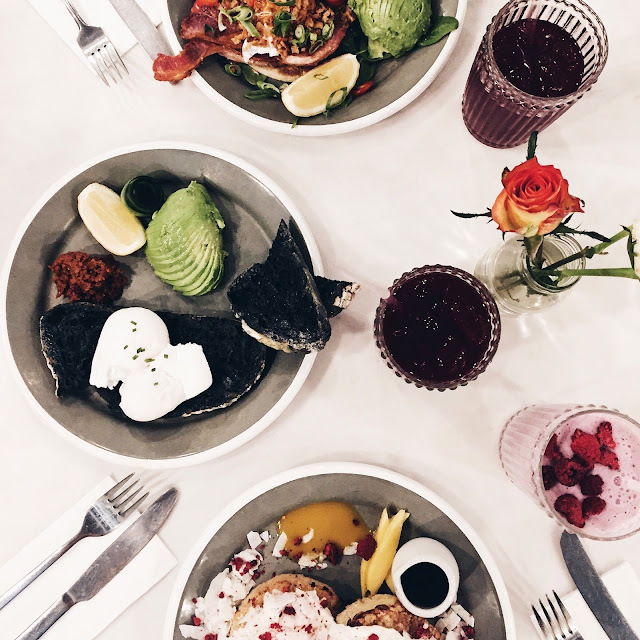 They serve Aussie brunch and Bottomless brunch, as well as coffee, pastries and takeaways. Upstairs you’ll find all your takeaway desires. There is also a small bar near the window where you can sit, sip your hot drink and watch the people walk by. Downstairs is where you’ll find the secret 'Alice in Wonderland' esque indoor garden which is absolutely amazing. 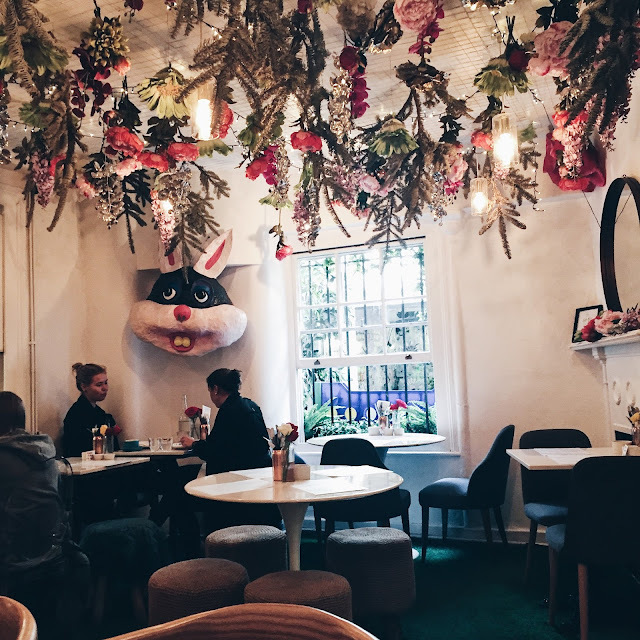 There are golden and marble tables everywhere, flowers on the ceiling and a weird bunny head in the corner, which at first I thought was weird but with each bite of my food I loved that fluffy head more and more. Both times I have ordered the same item on the menu: coconut bread French toast. I'm quite boring when it comes to ordering food. One look at my Instagram and you know that all I eat are pancakes, French toast, waffles and smoothie bowls. I’m a huge sweet tooth so I just can't help it to order the yummiest and sweetest item on the menu, it's who I am. My sister has tried the 'fancy bacon roll' and 'two free range eggs' (with charcoal bread!) -she is not as boring as me with these things- and she loved both dishes a lot. For drinks I tried the 'vegan nut smoothie' and the 'yogi berry smoothie'. That last one was too sweet for my liking -yes even with me that can be possible- so go for the vegan nut smoothie, some fresh OJ or a good cuppa coffee. Everything about Daisy Green works. 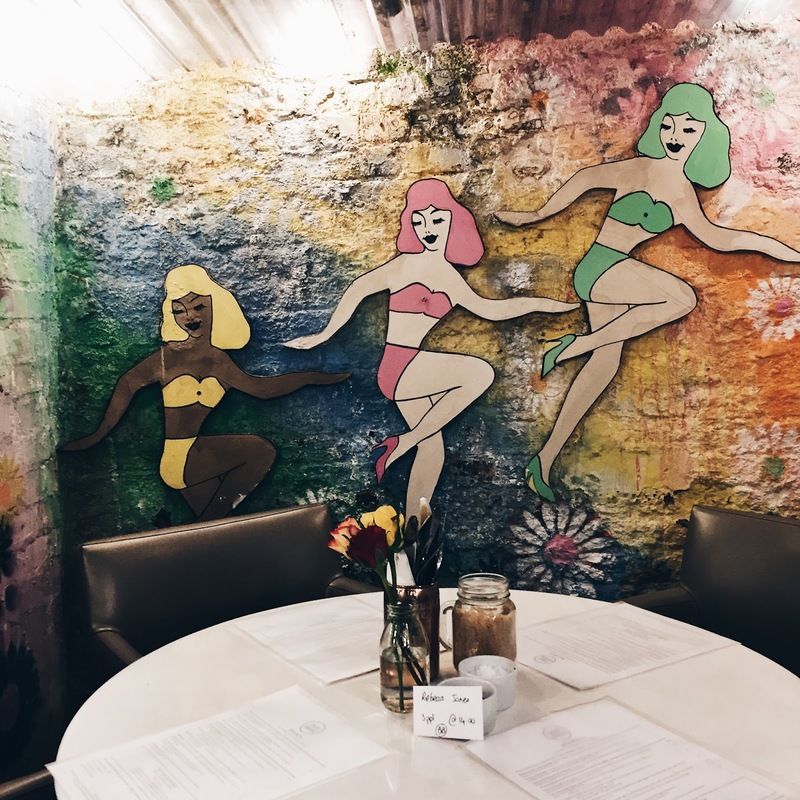 It has that funky hippy vibe, is loved by locals, but not too busy, which means you will always find a table available, the staff is lovely and the food is very tasty. Next time you are shopping on Oxford Street, this café has to be your kick start of the day, or a pit stop when you are tired and need to give your feet some rest after spending all your money on stuff you probably don't need. If you need more London brunch inspiration I also created a post with my favourite brunch cafés in London. Click here to read it! 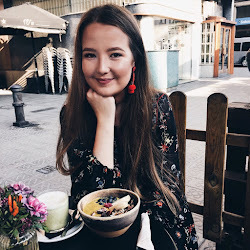 What is your favourite brunch place in London?